Inlet Beach Florida Up-and-coming with a laid-back vibe. If you’re looking for a carefree escape in an up-and-coming 30A community, look no further than Inlet Beach. Surrounded by 13 acres of protected dunes, the Inlet Beach neighborhood is just the right blend of untouched splendor and quick access to area attractions. At the intersection of Walton and Bay Counties, just past the eastern end of Scenic Highway 30A, lies Inlet Beach, one of the fastest-growing areas along this highly-coveted 24-mile corridor. Residents of Inlet Beach might find home, or a home away from home, in a cozy beach cottage or a more modern residence right next door. An eclectic mix of Old Florida, new neighborhoods and business development makes Inlet Beach a perfect place to vacation or call home. Inlet Beach was once known as Soldiers Beach, so-named for the influx of World War II veterans who received land in the community after returning from battle. 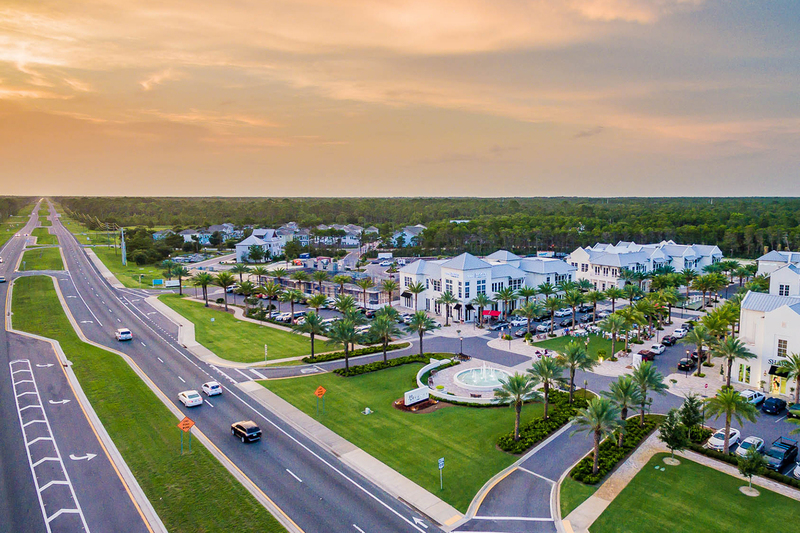 Despite its close proximity to the communities of Rosemary Beach, Seacrest Beach and Alys Beach, Inlet Beach is a worthy destination all its own. Here, you’ll find the largest public beach access point in all of South Walton, leading to sweeping Gulf views and plenty of space to swim, sunbathe and fish. When you leave the beach, indulge in high-end shopping at specialty boutiques and new shopping centers including 30Avenue and The Crossings. Check out Camp Helen State Park with access to Lake Powell, the largest coastal dune lake in the State of Florida. Or, visit any number of upscale restaurants with cuisine for all tastes.